Johann Georg Bauer was born on May 4, 1870 in Norka, Russia. His parents were Heinrich Peter Bauer, born 1833 in Norka, and Elisabeth Jost (Yost), born 1832 in Norka. Johann Georg (George) arrived in the United States about 1891 and married Christina Jost the same year. In 1900, they were living at 334 Beech Street, next door to his brother John Bauer, and George was working as a teamster. George and Christina had five children together. The youngest child, George Jr., was born about 1905. 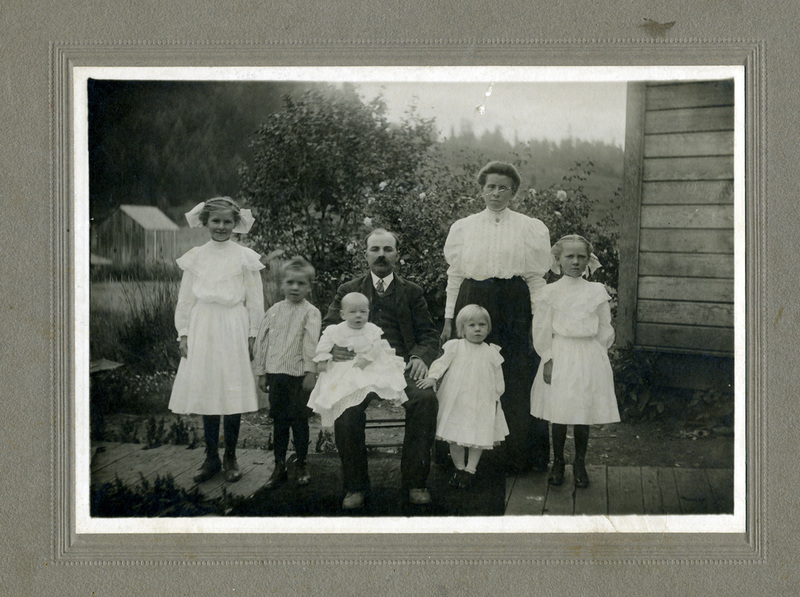 Christina died after George Jr.'s birth and George married Margaretha Jost (born about 1887). George and Margaretha (Margaret or Maggie) had a least three children: Marion, Reuben and John. In 1915, the Portland City Directory lists George and Margaret living at 769 Rodney Avenue and he is working as a teamster. Photograph courtesy of Stacy Hahn.